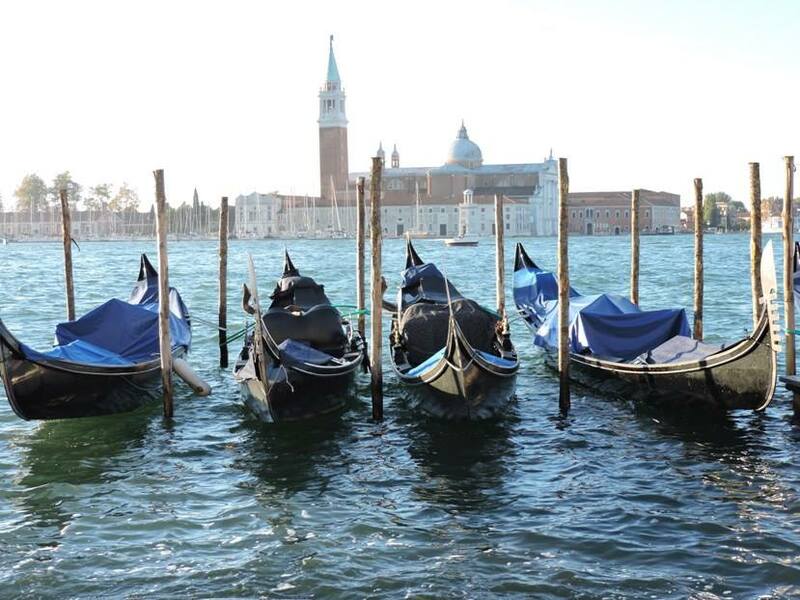 Venice is among the five most popular destinations for tourists in Italy. 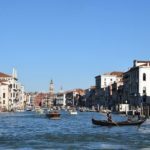 It is so popular in fact – over 20 million tourists a year – that in 2016 the Venetian administration sought a tourism limit to protect the city and its historic sites. 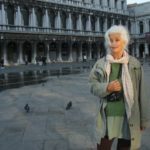 I visit Venice in October – the end of the season – and it is still teeming with foreigners and Italians who come to experience its wonders. Being in Venice is like being soaked in happiness. My first glimpse of the Grand Canal from the roof of the parking garage in Piazzale Roma stopped my heart! 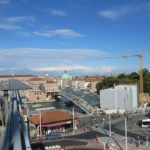 Modern Venice, which permeates one’s drive to the lagoon, ends at the Ponte della Constituzione – the glass and steel bridge that links the main highway to the sea and the newer city to the Venice of the Grand Canal. Although one can catch a waterbus, the vaporetto, and avoid the walk over the bridge, I like to traverse it for the view of the old city that it allows and for the feeling of leaving an Italy swarming with tiny autos and noisy scooters and entering an Italia into which one may only walk. The bridge itself has wrought quite a bit of controversy. Set in place in 2007 and opened in 2008, it is the fourth bridge in Venice giving access to the Grand Canal. 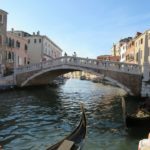 Did Venice need a fourth bridge? Many thought not. Designed by Santiago Calatrava, the Spanish architect and artist, the bridge is modern – not at all in keeping with the historic architecture of Venice, but minimalist – its arched truss design offering unobstructed views of the gorgeous canal. And Calatrava used materials familiar to Venice. The steps of the bridge, though inconvenient if one is not able to walk or walk well, are paved with pietra d’Istria – a stone used throughout ancient Venezia. 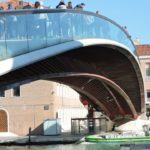 The walkway is made of tempered glass, reminding one of glass-making Murano, the series of islands in the lagoon also linked by bridges and where all Venetian glassmakers were forced to move in 1291 to prevent the intense fires needed to make the glass from burning down the city. Finally and ultimately, the artfully crafted bridge like all of his work is beautiful, even from below, the view one has when riding the vaporetto. 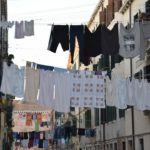 The laundry of the locals floats over the canals! So it is that in a way that reflects the true Italian heart – the locals in their dialogues renamed this bridge the “Ponte di Calatrava” – the artist and the art taking precedence over any modern nomenclature or argument. I recommend a walk over this bridge no matter how one comes to the city. A selfie with one’s back to the expansive Grand Canal or – as the Venetians call it – the Canal Grande will be a photo framed and enjoyed forever. Like I.M. Pei’s controversial glass Louvre Pyramid in Paris, the Ponte della Constituzione is become a Venetian landmark offering tourists their first sight of the Grand Canal and entré into the old city. 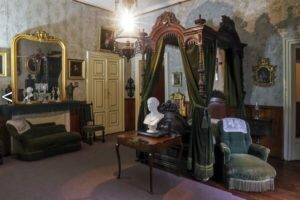 As much as I am a church imagery and Pinacoteca junkie, in Venice I forgot the preserved art of Italian interiors for the splendor of strolling through the city. Water and bridges are everywhere! There just is no city as pretty! 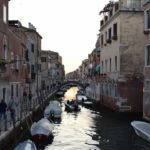 Venice has 400 bridges spanning the many canals that lick the edges of the 118 islands sitting in the Adriatic lagoon. On their flight to the sea, the sweet waters of the Po River flow down from the Cottian Alps and merge with the cool waters of the Piave River whose source is Provincia Belluno – in the heart of the Dolomites – to form the brackish water island host on which the palazzo’s and casa’s of old Venezia sit. Water is the defining enjoyment of Venice. 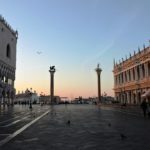 High tides wash Piazza San Marco twice each day sweeping the ancient stones clean and forcing the tourists to traverse the square on raised wooden walkways built for that purpose. 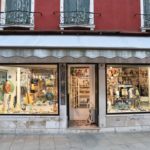 For me, the real heart of Venice is here where the golden Duomo of Saint Mark beckons piety and temperance in the midst of restaurants and boutiques whose pull tempts more earthly appetites. My preference is to stay within steps of St Mark’s Square. Opposing the gondola dock at the other end of the square and facing the lagoon is the mosaic filled, 11th century cathedral that is gold – gold – gold everywhere. Entry is free and the line moves quickly because no photos are allowed – a regrettable reality given the utter splendor of the ceiling and wall art. 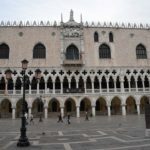 To the left of the basilica and extending to the water is the 14th century Palazzo Ducale – the Doge’s Palace – all huge and white and opulent. To the right is St Mark’s Clock Tower. Its placement in the 15th century was the intentional view of the clock from the sea by potential vendors and spenders. The Torre dell’Orologio is impressive. The clock tower is above the entrance to the Merceria or Haberdashery where merchants sells their wares, and its design offers mariners an impressive invitation to trade – the strength of the old and new city. The clock tower has four levels and is surrounded by buildings on both sides. 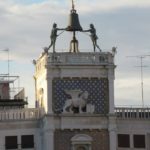 The roof of the tower has two bronze figures that strike the hours of the day on a large brass bell. 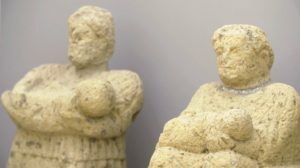 The figures, shepherds, one old and one young, symbolize the passage of time. The sculptor signed bell is original and was cast at the 12th century in the Venetian arsenal by Simeone Campanato. 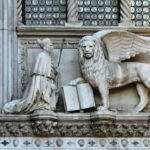 Beneath the bell terrace is a stone sculpture of the winged lion of San Marco – one of the four evangelists and the patron saint of Venice – with his great paw on a bible open to his gospel. The next lower level has a semi-circular landing with a seated Virgin and Child. 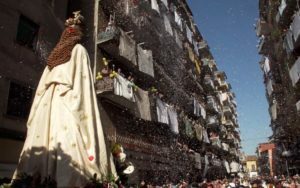 Around the Virgin parade the three Magi – gift-bearing kings according to popular legend but really magicians or sorcerers – the true meaning of the word “Magi”. The next level houses the fabulous astronomical clock with a face of blue and gold. 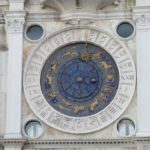 The zodiacal signs are surrounded by a marble face into which are carved the 24 hours of the day in Roman Numerals. 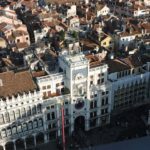 All three levels sit atop a tall, two storey archway that opens onto the Rialto – the commercial and financial area of Venice where shops and businesses abound all the way to the bridge of the same name. 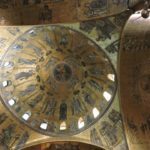 The final architectural masterpiece of the Piazza San Marco is the Campanile di San Marco, the 323 foot tall bell tower of the basilica. 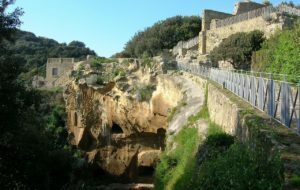 The original tower served as a watch tower and lighthouse for the bay and was built on ancient Roman foundations in the 9th century. 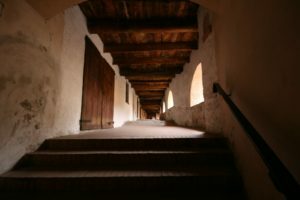 The current structure – although damaged and repaired multiple times over the centuries – was built in the 12th century. Today for the price of a ticket one can visit the top of the tower, enjoy an expansive view of the city and marvel at the five bells – each crafted with a unique voice to signify its special and olden utilitarian purpose. 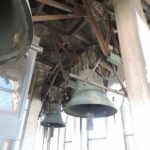 The Marangona is the largest of the bells. It was rung twice each day to call the people to work and, later, to sing the end of their daily labors. 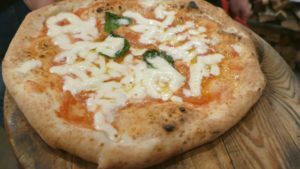 The Nona rang to announce midday, lunch “pausa pranzo” for the city. 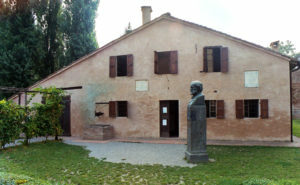 The Trottiera announced council meetings and the Mezza Terza, the third half, called the senate to session. Lastly, the Ominous Maleficio was rung to announce a public execution. The voice of this bell is forever associated with the justice served to those whose crimes were so dire that only a death would assuage the sentiments of the populace. The Maleficio called the people to the dock to speak their gratitude for the efforts of the state to keep them safe. 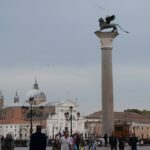 So to the sea they came – to the lip of the lagoon where the Columns of San Marco and San Teodoro, still stand heralding the grandeur and power of the port and old city-state. 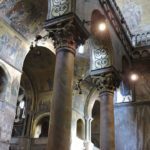 Beneath these protecting saints and between their columns was defined the space where the condemned were killed – a fate forbidden by Italian law since 1889. 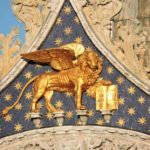 Saint Mark – the Evangelist whose gospel forms a cornerstone of Catholic mythology, and Saint Theodore of Amasea – the dragon-slayer – a saint who triumphed over evil and protects the city from storms – symbolize the power and protection of religious belief as wielded by the laws of the state. The blood of the condemned spilled at the foot of the towers and washed away by the tides of the Adriatic is still believed to taint the space between the towers. 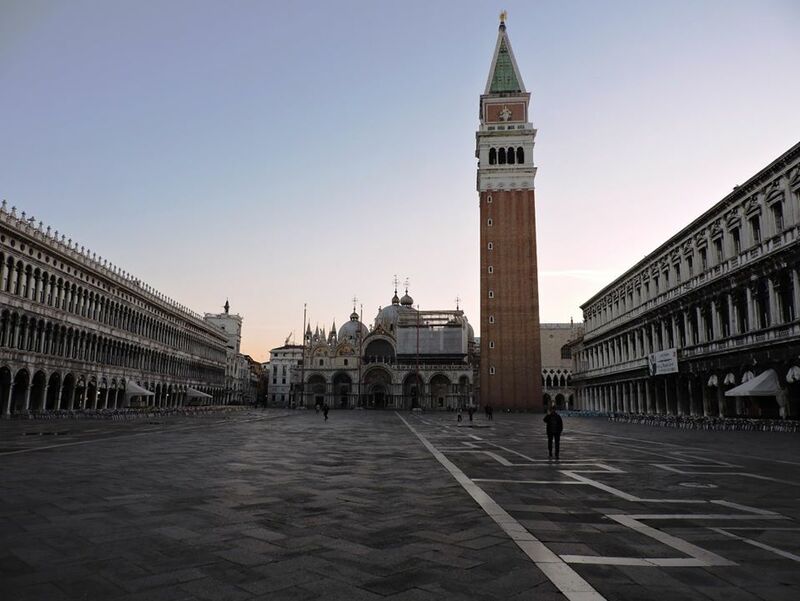 A true Venetian will not cross that space in fear of the evil that fouled it. I like to earn my bird’s eye view of the city and love to climb the towers that are still a feature of most large Italian metropolises. But the volume of tourists necessitates the interference of technology and an elevator ride up and down the tower is the only way to enjoy the totality of Venezia that an aerial view affords. 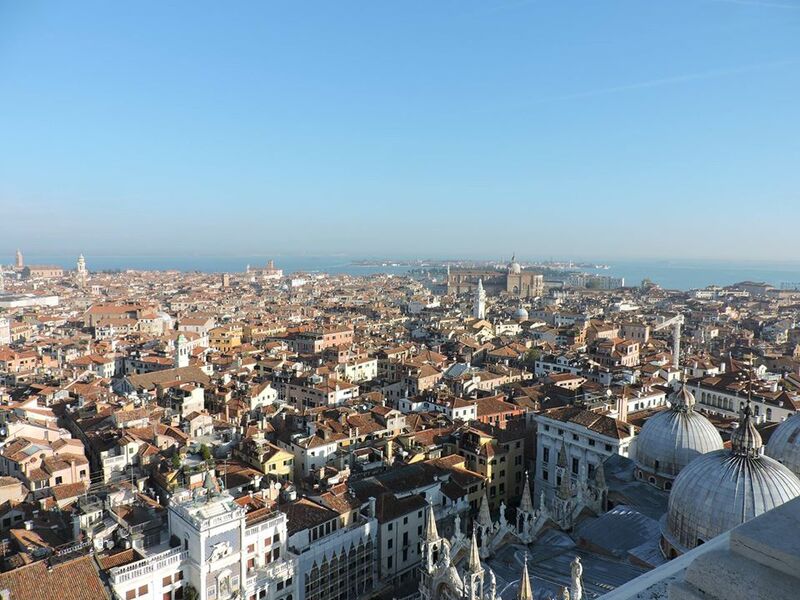 Regardless, the cause of getting lost in Venice and frustrated in the process – the common experience of the casual tourist – is easily discovered in the incredible panorama available nowhere but at the top of the ancient Campanile di San Marco, still singing with the voice of the Venetian people. I adore Venice! 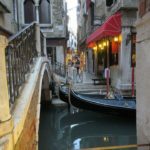 I hope these photos entice you enough that you travel to this unique city so you can marvel at its beauty and bathe in its charm! The Venice Airport is an international airport. To reach the city centre you can take a bus (it takes 20 minutes and costs 8€) or either a boat to cross the lagoon (15€). 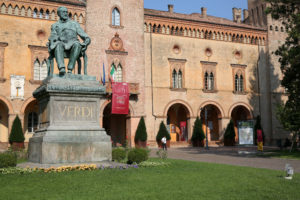 The nearest airport for transcontinental flights is the Bologna Airport. From the airport, first you have to reach Bologna Central Station by bus (rides every 15 minutes, it takes 30 minuts, 6€). Then, from the Central Station you can choose between the train and the bus to get to Venice. There are many trains (you can choose between Trenitalia or Italo companies), reaching Venice in 1h 30. Otherwise you can choose Flixbus and get to Venice in 2 hours. 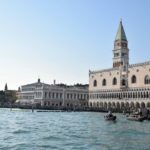 The best way to visit Venice is on foot and across the lagoon and the canals by vaporetto ferry boat (single ticket: 7,5€ for 75 minutes). Check the ACTV website for more. 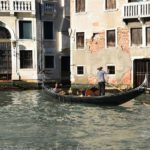 You may also enjoy a tour on the famous gondole, the typical venetian slim boats floating on the canals led by standing men… why not, just consider that it is a quite expensive tourist experience: a day tour is about 80€, by night about 100€. Venice is the capital city of Veneto region, North Eastern Italy. No need of introduction, we guess. Venice is one of the Italian symbols worldwide, one of the most iconic place in the world, with tons of imitations, from Far East to Vegas. The whole lagoon and part of the city are a UNESCO World Heritage Site. 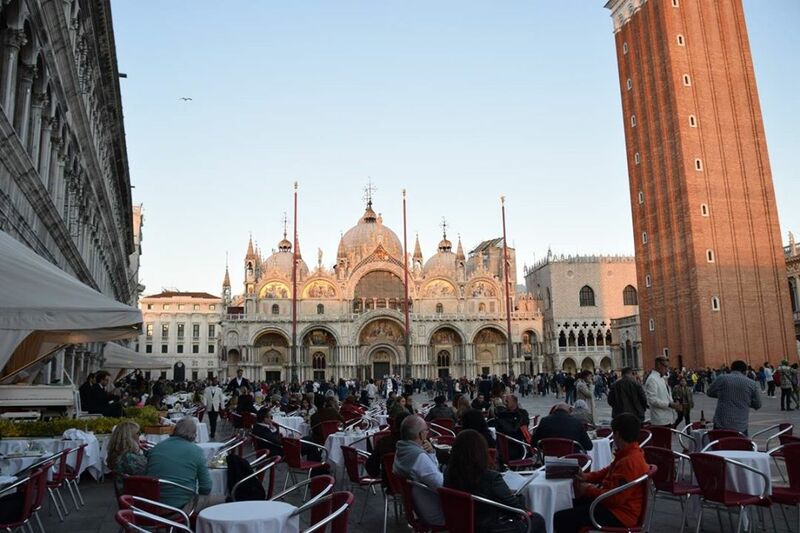 Highlights, for sure Piazza San Marco and the Palazzo Ducale. 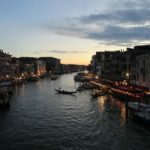 The canals, of course – Canal Grande on top – with all the romantic bridges crossing them (perfect location for proposals and love swearing, by the way). 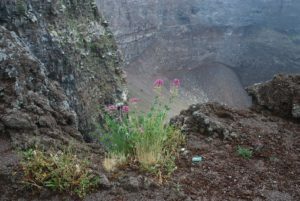 Read a full itinerary by our US Ambassador Virginia, while here you can find some ideas for a one day tour. The Venice Lagoon counts up to 118 small islands, see Burano, famous for its colorful houses, and Murano famous for the craft production of glass. Here is a full itinerary touching many of the islands. 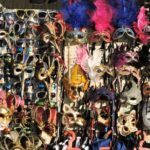 Planning your trip, try to be in Venice in February to attend its majestic Carnival celebrations (check Carnevale di Venezia official web site for updates). 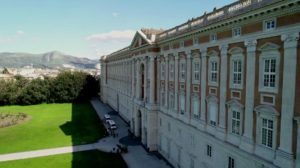 Check also The Biennale web site for the events of arts & architecture fair and to attend the great Venice Film Festival. In Venice everything is very expensive, accomodation included. 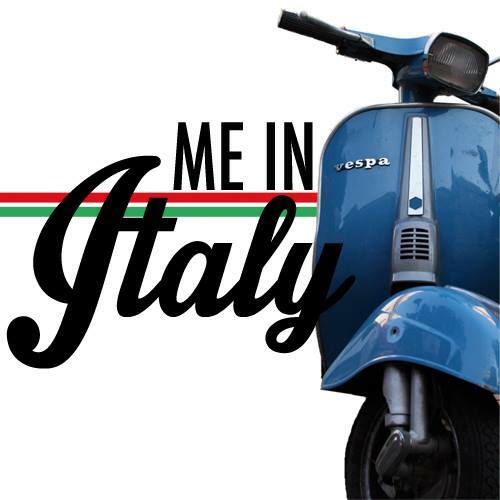 A better choice to save some money would be to sleep in the nearby cities like Mestre or Padua, reaching Venice just for sightseeing.